Yesterday afternoon, I finished my second pair of socks ever, and the first pair that I will wear. And I will wear these often! I am a sock knitting convert! 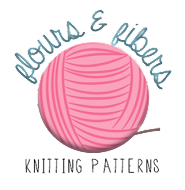 So on the way to Madison last week, I cast on for a pair of socks from a really neat skein of yarn I'd had in the stash for awhile. It was a skein of Ancient Threads Sock Yarn that I bought at the Elegant Ewe in Menominee, MI. 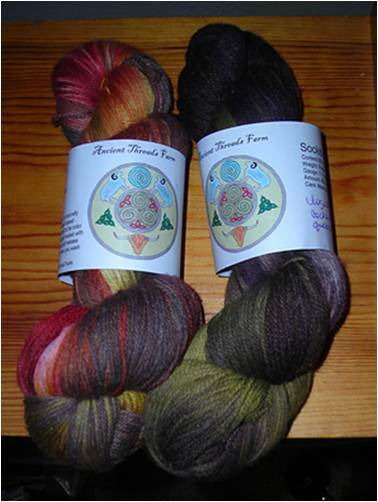 Ancient Threads Farm Yarn is naturally dyed with botanical and insect based dyes. I used the yarn on the left in the top photo. I am still thinking about a project for the other skein. After a few false starts (including tearing out an also completed sock to about 2 inches after the cast-on, I waited until we returned home, and dug out my borrowed (thanks, Mom!) 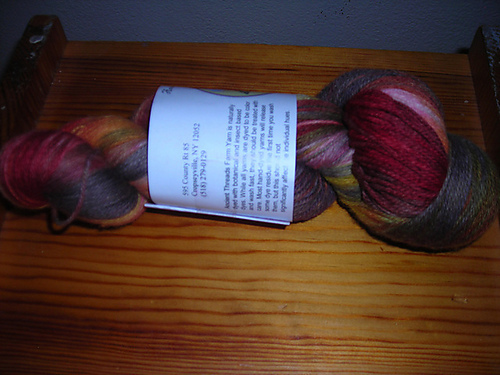 copy of "New Pathways for Sock Knitters" by Cat Bordhi. This book is pure genious, and allows you to knit socks custom fit for your feet. I finished both socks in about 6 days, and also worked on other projects. That busted the myth in my head that socks took a long time to knit. So I now present you with proof that I did, in fact, knit and wear a pair of socks! I knit these toe-up, starting with Judy Becker's Magic Cast-On, which my just be the most useful bit of information I gleaned from "New Pathways". That is saying something, as the book is chock-full of useful techniques and tips. I use this cast-on exclusively whenever a pattern calls for a provisional cast-on. It really is magic. I then used the Riverbed Master Pattern from the book, knit to the end of the heel, worked in the round for a few rows, throwing in a couple of short rows along the back, and topped them off with an I-Cord bind off. Check out my Ancient Threads Anklets Ravelry project page for all the details! Your socks are lovely and I am glad you have busted through a self imposed barrier. Isn't it great when you figure these things out and move on. I just finished a cardigan for myself and wore it today....sweet.